"Amanda Panda & Bear" #ST-1803 Includes pattern pieces and instructions to sew up very CUTE Panda or Bear Pot Holders/Hot Pads. Super easy & quick applique design! Approximate finished size 10” x 9”. 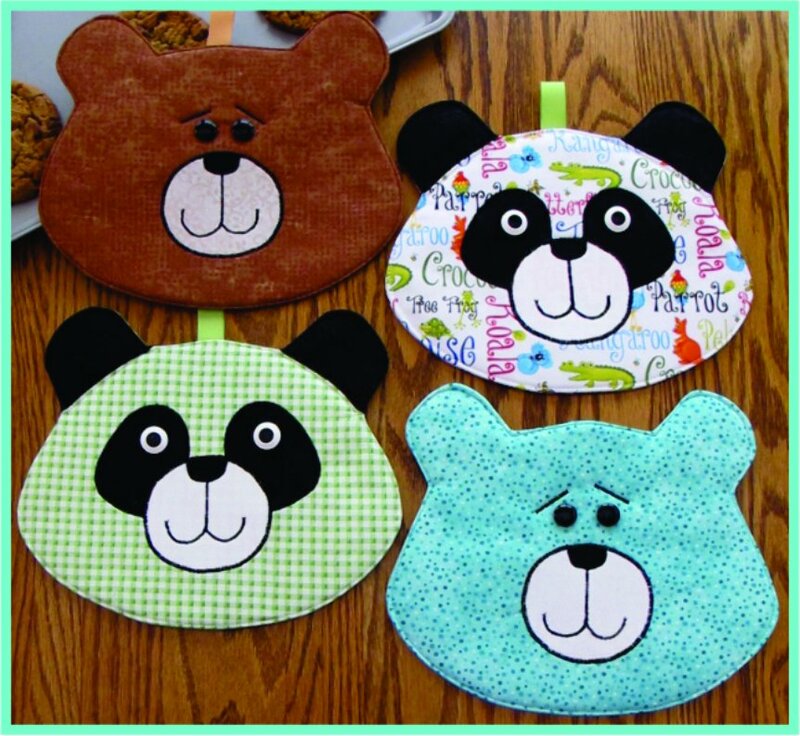 "Amanda Panda & Bear" ST-1803 Includes pattern pieces and instructions to sew up very CUTE Panda or Bear Pot Holders/Hot Pads. Super easy & quick applique design! Approximate finished size 10” x 9”.